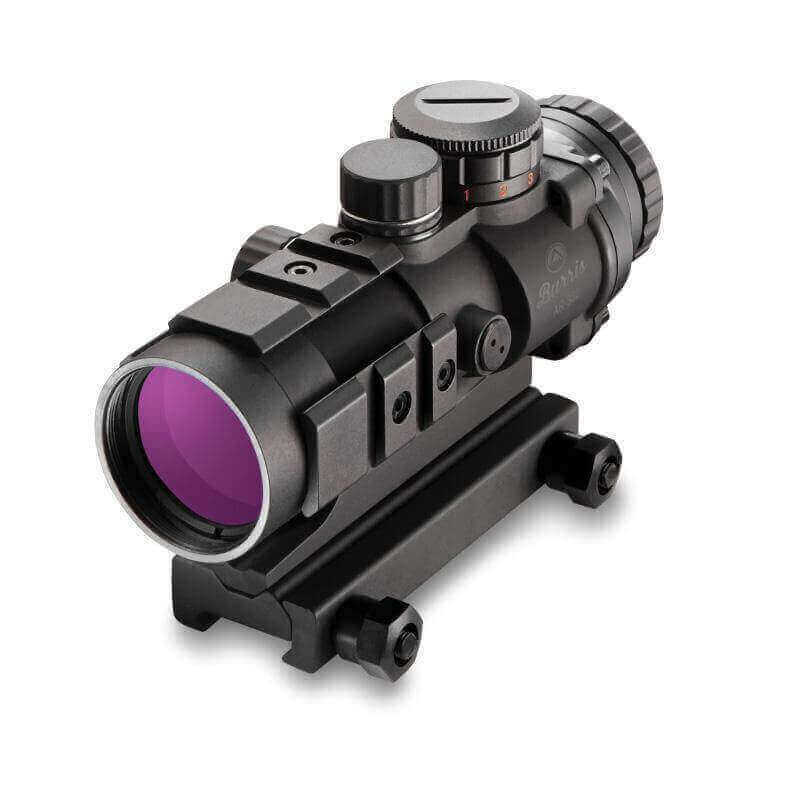 The AR-332 is a solidly built optic with a 32mm objective and a 3 power prism site. The 10-position power selector allows immediate changes from red to green powered reticle or black reticle when power is off. At 14.2 oz, the AR-332 is ruggedly reliable, durable and guaranteed shockproof and waterproof. Equipped with picatinny rails allowing installation of any additional sights, laser or lights. And like all other Burris products, the AR-332 scope is backed by the Burris Forever Warranty.